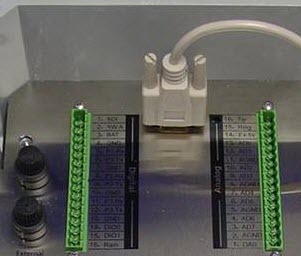 Directly Connecting to a 2100-iSIC Data Logger - NexSens Technology Inc.
A 2100-iSIC is, by default, setup to communicate over analog phone lines instead of direct to a PC using its DB9. 1. First open iChart software and select Help | Check For Updates to get the latest version of software from the NexSens website. 2. Select Edit | Preferences. From the GUI tab, place a check box in “Enable Advanced Interface”. 3. Next, select Advanced | Terminal. 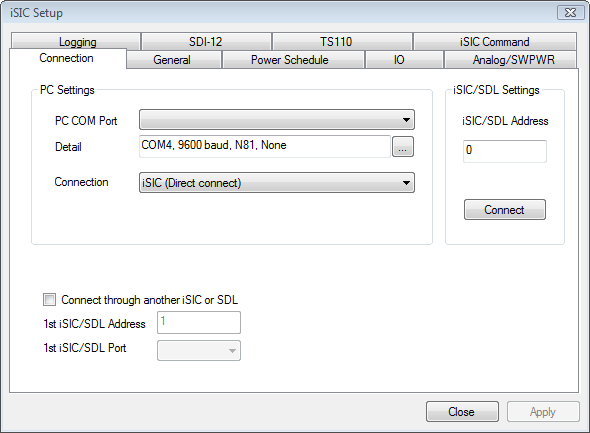 Connect the data logger to a COM port on the computer and then select that COM port in the dialog box and Direct connect as the connection type. Click Connect and a white window should appear. 4. Select Advanced | iSIC | iSIC from the file menu. The iSIC Setup window will appear. Select the COM port the iSIC is connected to and click Connect. Click on the general tab to make sure it’s possible to see a firmware version and battery voltage. 5. Place a check in the “Change protocol” check box. Select Direct from the drop down menu and then click Apply. Close the iSIC Setup dialog box and cycle power to the iSIC by removing the two fuses. The iSIC is now set up to communicate directly to a PC instead of over analog phone line telemetry. To switch back to communicating over analog phone telemetry, repeat these steps, but select 2100 from the “Change protocol” drop-down menu. 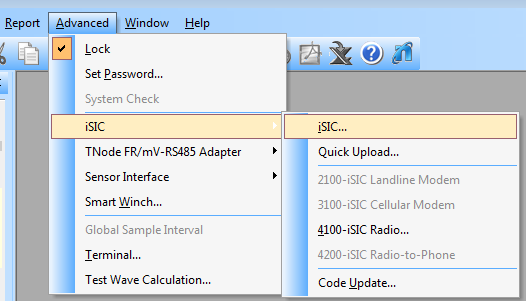 If the 2100-iSIC is already set up in an iChart project, select it from the Navigation Panel and then right-click and select Property. Change the “Connect Through” setting to Direct to PC. NOTE: A 2100-iSIC will not respond to phone line calls when it is in direct connect mode.